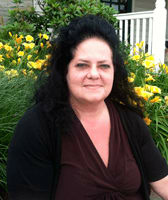 Stephanie, is the Hospital Manager at Oak Pointe Veterinary Care and has been with the hospital since 1995. She earned an Associate Degree in Office Technology from Kent State University, Tuscarawas. 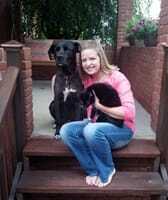 She is a Certified Pet Loss and Bereavement Counselor, trained through the Association for Pet Loss and Bereavement. She has experienced firsthand the devastating effects that are endured following the loss of a beloved companion and is dedicated to helping others. 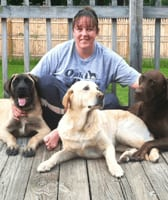 Heather, is a Client Service Specialist at Oak Pointe Veterinary Care. She joined our team in 2012. 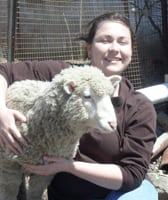 Heather has worked in the veterinary field since 2003. Christine, is a Registered Veterinary Technician at Oak Pointe Veterinary Care and has been with the hospital since 2014. 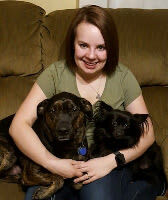 She is a graduate of Kent State University with an Associate Degree in Veterinary Technology. 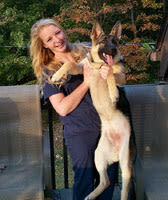 Kayla, is a Registered Veterinary Technician at Oak Pointe Veterinary Care. She has been a part of our team since 2013. 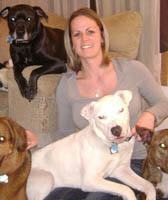 She is a graduate of Kent State University with an Associate Degree in Veterinary Technology. Michayla, is a Registered Veterinary Technician at Oak Pointe Veterinary Care, she joined our team in 2018. 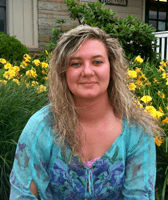 Michayla is a graduate of Kent State University with an Associate Degree in Veterinary Technology. 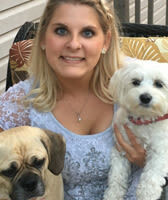 Ashley, is a Registered Veterinary Technician at Oak Pointe Veterinary Care. She has been a part of our team since 2017. She is a graduate of Kent State University with an Associate Degree in Veterinary Technology. Kendra, is a Veterinary Assistant that joined our team in 2014. 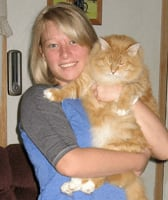 She is a graduate of Kent State University in Veterinary Technology. Kendra will soon become a Registered Veterinary Technician. Danielle is a Veterinary Assistant that joined our team in 2017. She is a graduate of Brown Mackie College in Veterinary Technology. Danielle will soon become a Registered Veterinary Technician. Jamie, is a Veterinary Assistant and Client Service Specialist at Oak Pointe Veterinary Care and has been with the hospital since 2007. She earned an Associate Degree in Business Management from Kent State University, Tuscarawas. Laurie works with boarding and grooming pets. She joined Oak Pointe Boarding & Grooming in 1999. Catherine works with boarding and grooming pets. 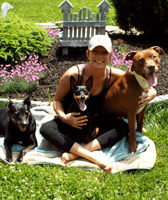 She has been part of the Oak Pointe Boarding & Grooming team since 2005.